Chef Joao Faraco was voted the best in The Canaries. Now he has opened a restaurant in Playa Blanca, Lanzarote, so we had to try it. 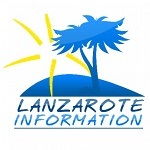 Brief news from Lanzarote in March 2019, including details of the original plans for Famara as a tourist resort, new innovation hub in Arrecife, and more. Lanzarote Living Consultancy is a new service that helps residents with every aspect of paperwork relating to living and working in Spain.